If you’re looking to arrange the ultimate bachelor party, you may be in need of some inspiration. Times have changed and guys are looking for something more interesting than the traditional stripper and beer night. Nowadays, bachelor parties are just as much about spending quality time with the guys as they are about the last night of ‘freedom’. So start your planning by considering the best way to enjoy a night celebrating with all your best friends. Colleagues, family members, mates and even neighbors often get invited along to a bachelor party. But if you’re looking to spend the day and evening doing something more than drinking, you might need to figure out how you’re going to get everybody there. With a larger group, you’ll need to rent a 25 passenger bus to get everyone to the venue. Of course, it depends on what you all plan to do. A great bachelor party often involves doing something the groom has always wanted to do. Maybe a tour of his favorite sports ground could be the perfect send-off gift? And if all the lads are chipping in, it makes sense to share it! If the groom loves music, perhaps you could all arrange to play on stage at his favorite music venue. And if he loves action and adventure, why not head out for some white water rafting? 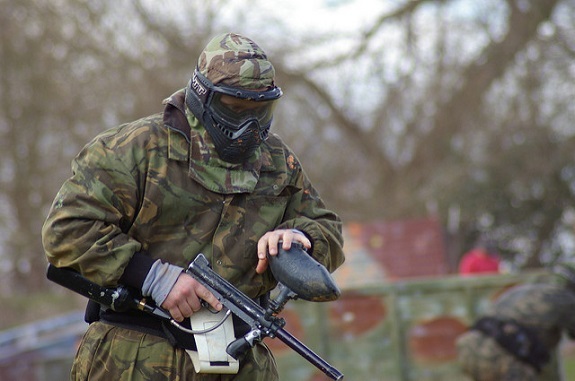 Paintballing can also be a great way for guys to enjoy some friendly competition. You’re all going to need a meal at some point during the evening. Booking in advance is essential for a large party. And if there are enough of you, it’s possible to book out the entire restaurant. This VIP treatment could be just the thing to make a bachelor party special. And a restaurant is definitely an easier option than you having to prepare all the catering yourself. If your groom-to-be is a foodie, why not all hop on the bus and head to his favorite eatery? A great bachelor party has great entertainment to enjoy later on in the evening. If you don’t want to book a stripper, there are plenty more options you can choose from. You might be able to book tickets to a show, or catch the big game at the stadium. A comedy club can also be great fun for everyone to enjoy. Sometimes, private entertainment can be the preferred option. What about a murder mystery evening? It can be fun for a large group to join up in teams to solve the mystery. You could even book an evening with a celebrity. Of course, a traditional party hosted at your place or the groom’s home can still be a great way to celebrate the last days of bachelorhood. You can find some great playlists online to set up the music for the evening. If you’re on a budget, you might prefer this over hiring a DJ. Buffet style catering can also be much cheaper than hiring a waiting crew too. As for the beer and the strippers? That’s up to you!